I am Stan(islav), born in Slovakia and now living in Tenerife, Canary Islands. 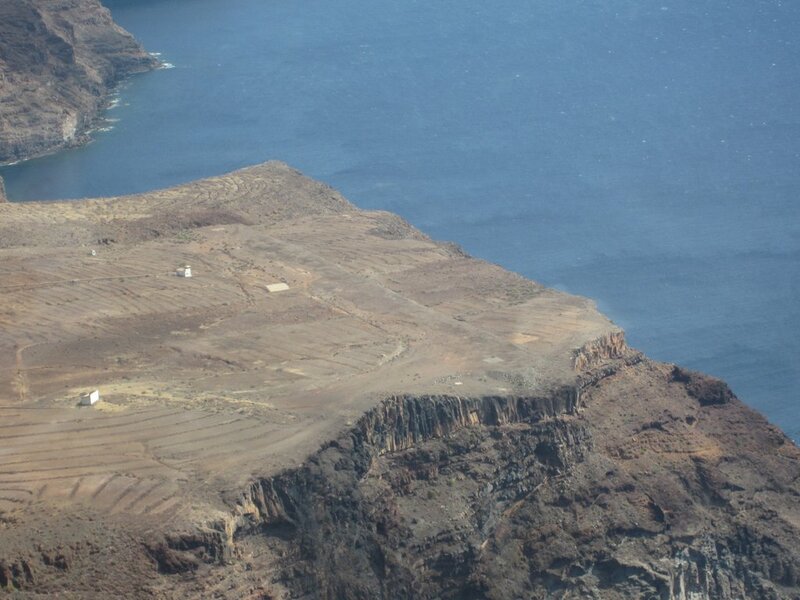 I am a privat pilot and a member of the Tenerife Flying Club “Real Aeroclub de Tenerife”. On this page I am sharing (not only) my flying experiencies, from my flights around the Canaries and arond the world as well. To see some videos from my flights you can also visit my Youtube Channel on www.youtube.com/sklajban. I usually fly Piper PA-28-181 (reg. EC-JMT) or Cessna F-172 (reg. EC-JGP). I hope you will enjoy reading my posts. Don’t hesitate to comment, like or share! I would love to hear from your experiences as well! Hi Stan! Thank you for following my blog, I appreciate it! Great blog about your flying here! I’m thinking about visiting Tenerife next year, is there any chance to rent a plane as a foreigner? I couldn’t find any website regarding your aero club! If you are a pilot, and you would like to fly a plane, it is possible with an instructor at the local flying club, which is situated at the north airport (TFN/GCXO). You could get the rates on demand; through the contact section on their website realaeroclubdetenerife.com. Currently it’s the only option to make a flight as a pilot, no clubs are at the south airport. If you’d like to make just a round flight, you could fly with me as a passenger, which would be obviously cheaper. Hey Stan, great blog! I love your passion of flying! Is there any chance to rent a plane as a foreigner in Tenerife? I couldn’t find any website of your aero club! very interesting blog. The Canaries from the sky are so beautiful. How would it work to fly with you as a passenger? We are coming to Tenerife in 10 days and that sounds very interesting. Many thanks for stopping by. I am glad that you liked my blog. Sure it is possible to fly with me as a passenger, if you wish send me an email to stan@flywithstan.com so we can discuss this. Im a flying enthusiast and Im often using flightgear, an open-source flight simulator. Unfortunately the scenery of La Gomera isn’t really realistic within flightgear. (https://flywithstan.files.wordpress.com/2013/03/img_2315.jpg), take a small part of it, use it as a texture(for example like this:https://www.dropbox.com/s/01welgojmrf5d8x/texturetest.png?dl=0) and redistribute it under GPL (for sure with your name as author and link to your blog). Thanks for stopping by. Sure, you may use the image in the scenery. Will be happy to see it once it will be finished! Here a link to some screenshots of the (not yet finished) scenery, not really realistic, but more than before. Now I got almost every picture I need for texturing the island virtually, but unfortunately I haven’t got any useable shot of Canarian city, so I would like to ask you whether you have any aerial images of Canarian cities. I’m a cadet pilot who’s enthusiastic to use to gopro on the wing & horizontal stabilizer of a PA28 and I was wondering do you take out the mounts after every flight ? And if so , how do you do it ? I use different mounts; the adhesive ones (tail, wing) stay attached so I can use them again. Ig I use the suction cup, I take it out after every flight. Hi Stan, great blog with stunning photos! 2 friends and I are heading to Tenerife later this month and we all love aviation – I myself am in the local glider club. Would it be possible for you to take us on a little tour of Tenerife and neighbouring islands in your piper? Of course we will pay for the costs, but it just seems like the perfect way to experience what the Canaries have to offer! If you cant, then no big deal, we’ll still get to enjoy your blog! Many thanks for your kind comment :-). I´ll answer you in a private message. Stan. Looking at your blog with interest. I will be in Tenerife (South) in April and would love to fly (I am JAR3 PPL SEP-LAND/SEA licensed). Would you be able to suggest me any flying clubs around there? Thank you for your comment. I hope you have received my reply by email.